Scenic Walk - Marginal Way - Ogunquit one mile walking path along coast. Starts across the street on the other side of Perkins Cove. Great place to watch the sunrise (see above)! 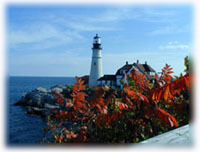 Ocean Recreation, Lobster Boat Tours, Whale Watches, Deep Sea Fishing, & More. Kittery Outlets - Just 20 minutes south of Ogunquit. Over 120 outlets and the Kittery Trading Post with savings of 20-70% daily. This shopping mecca is often referred to as “America's Maine Street for Outlet Shopping.” 1-888-KITTERY. Dock Square - Kennebunkport - shops, boutiques, art galleries and restaurants. L.L. Bean - World famous and open 24 hours, 365 days per year. 1 hour north in Freeport. Freeport also offers over 100 outlet stores. 865-1212. The Maine Mall - Over 135 stores including restaurants, theaters and more. 364 Maine Mall Road, So. Portland. 774-0303. The Old Port - Portland's Historic District offers over 158 shops, 65 restaurants, 28 galleries, and numerous pubs. All located in a charming five block area lined with cobblestone streets on Portland’s historic waterfront. 400 Congress St., Portland. 772-6828. Children’s Museum of Maine - Fun for all ages. 142 Free Street, Portland. 207-828-1234. 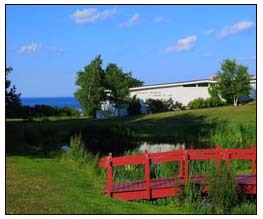 Children’s Theater of Maine - 25A Forest Ave, Portland 207-874-0371. Portland Symphony Orchestra - Concerts year round. 30 Myrtle St. Portland 207-773-8191. Portland Museum of Art - 7 Congress St, Portland 207-775-6148.